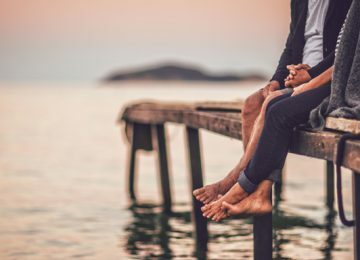 These days it’s hard to imagine what life would be like without the internet as so much of our day to day activities are done online. 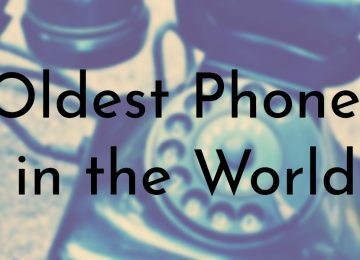 In fact, modern teenagers and are too young to know what life was like before the internet. 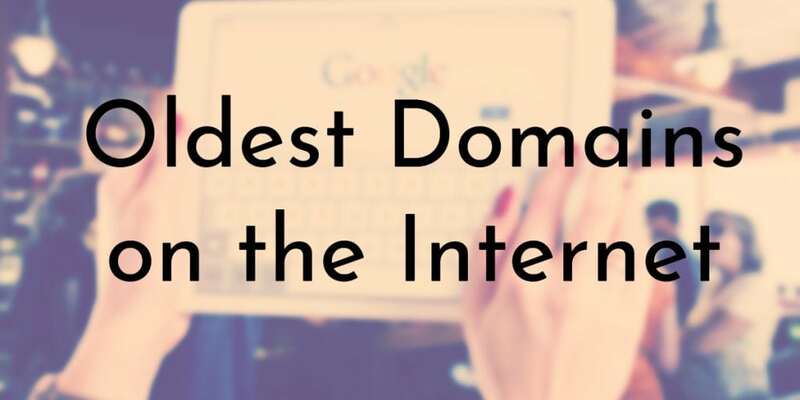 While it may be hard to believe, the very first domains were registered on the internet in the mid 1980s, giving rise to some of the net’s very first websites. At the time, personal computers were just starting to enter people’s homes. 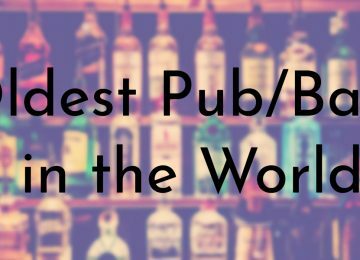 The following list contains the ten oldest domains on the internet, several of which are still active and owned by the original companies that registered them. 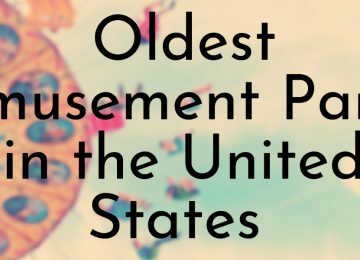 Note that we tried to list the ten oldest domains in order, but had to omit the fifth registered domain (dec.com) as its information is excluded from the Internet Archive’s Wayback Machine. 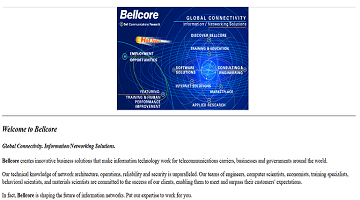 bellcore.com was the tenth commercial domain name to be registered and was the home page for Bell Communications Research. 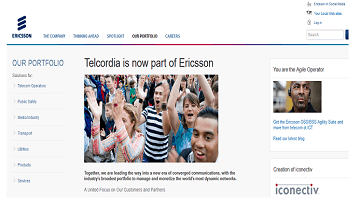 The company, which is now called Telcordia Technologies, Inc., telecommunication research and development company that was created in aftermath of AT&T’s breakup in the early 80s. The domain name is no longer active, but isn’t for sale and when you try to access the web address you receive a timeout error. Last screenshot of bellecore.com from April 4, 2015. Trying to access the domain name today leads to a blank page. 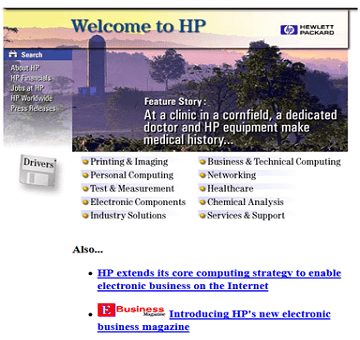 hp.com was the ninth commercial domain to be registered and serves as the home page of the Hewlett-Packard Company (commonly known as HP), an American company that is known today for manufacturing technological products such as laptops, printers, scanners, desktop computers, and calculators. At the time the website was registered in the 80s, HP was producing inkjet and laser printers for desktops along with scanners. 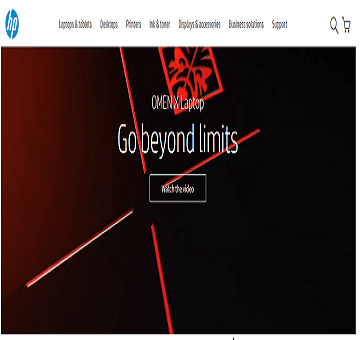 hp.com is one of the longest running websites and today you can buy several products directly from HP. 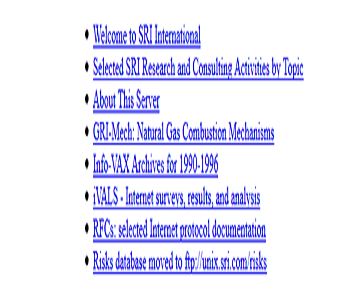 sri.com was the eighth commercial domain name to be registered and website is still actively operated by SRI International (formerly the Stanford Research Institute), which is an American nonprofit research institute. SRI was founded in 1946 by a board of trustees from Stanford University, but became its own institution in 1970 after separating from the university. 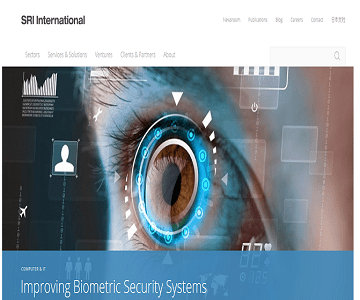 Today, SRI International focuses on doing research in areas such as biomedical sciences, chemistry and materials, computing, Earth and space systems, and many others. 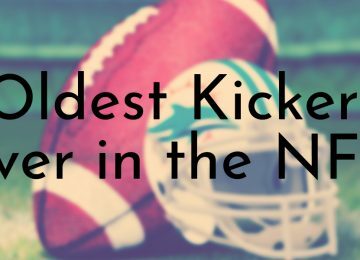 sri.com joins a few other websites on this list that are still run by the domain’s original owners. 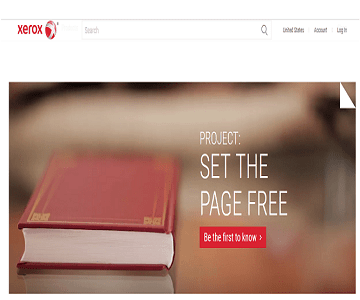 xerox.com was the seventh commercial domain name to be registered and is still owned and operated by the Xerox Corporation, which is a globally recognized American company that sells document solutions and services. The Xerox corporation has been around since 1906 and still provides many services and products that people use today. 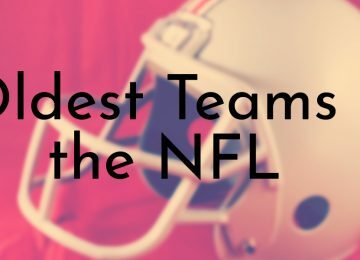 Like a few other entries on this list, xerox.com has been continuously operating since it first launched in the 80s, with consistent updates as the times have changed. 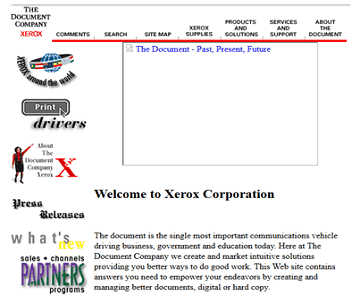 Xerox’s current website features a look that reflects today’s modern style. 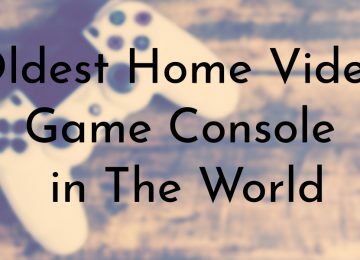 The company is credited with inventing several elements of personal computing, including the computer mouse and desktop computing. 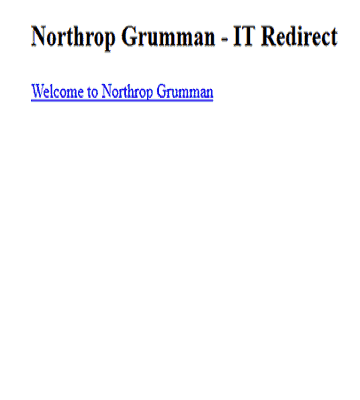 This is the last screenshot captured of northrop.com from July 2, 2013 and it featured a link to the new Northrop Grumman website. 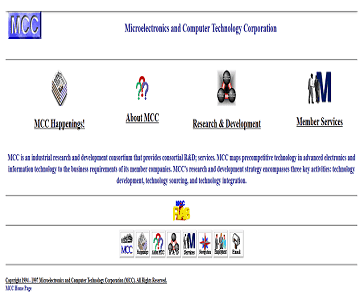 mcc.com was the fourth commercial domain name to be registered and it served as the home page of the Microelectronics and Computer Technology Corporation (MCC), which was the first, and at one point the largest, computer research and development consortia in the U.S. 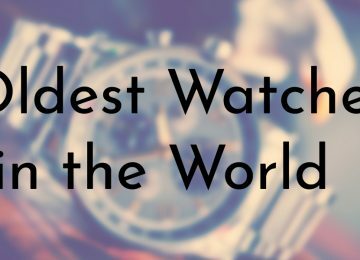 The company shut down in the early 2000s and the website is no longer active or currently owned by anyone else. 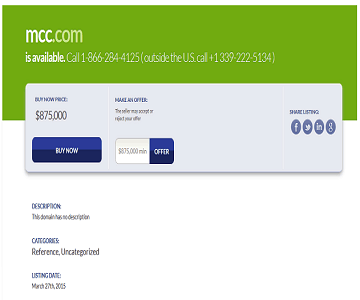 mcc.com has not been an active website for many years and the domain name is available for purchase for nearly $1 million. 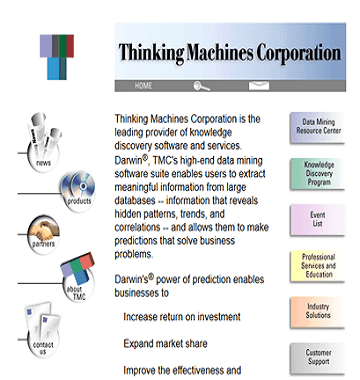 The last time a screenshot was captured of think.com was on May 12, 2015.
think.com was the third commercial domain to be registered and was owned by Thinking Machines Corporation, a supercomputer manufacturer based in Massachusetts. 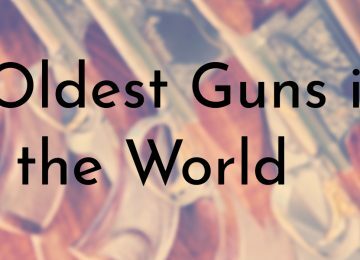 The company was initially successful due to its contracts with DARPA, but filed for bankruptcy in 1994. 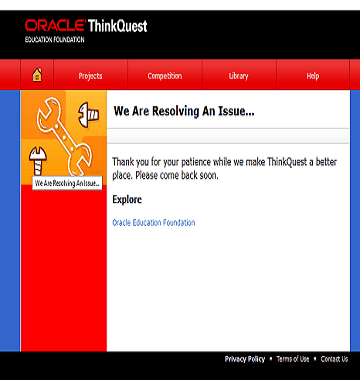 Although the website is no longer active, it does not seem like the domain has been sold as trying to go to think.com results in a 408 Request Timeout error. 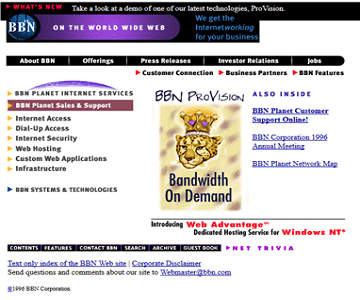 BBN Technologies is known for making many early contributions to the internet and Ray Tomlinson, who was an engineer at Raytheon BBN Technologies is widely credited as having invented email in 1971.
bbn.com is the second oldest commercial domain name on the internet and unlike the first website on this list, it is still owned and operated by the same company, BBN Technologies. 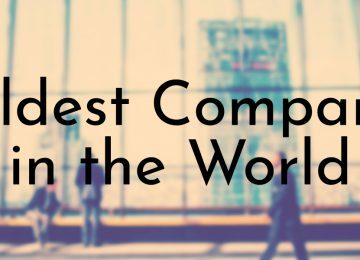 The company, originally known as Bolt, Beranek, and Newman, is an American high technology company that provides research and development services, primarily to the U.S. military and DARPA. 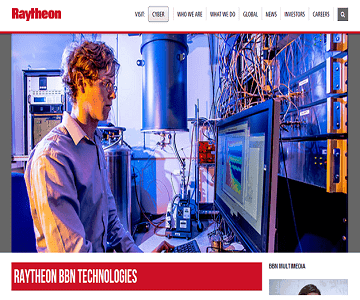 Although the website changed its domain name after it became a wholly owned subsidiary of Raytheon in 2009, bbn.com is still registered and will redirect you to the updated site. 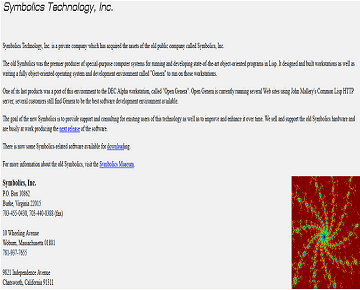 Symbolics.com still maintains a simple style and capitalizes on the fact that it is the world’s oldest website. 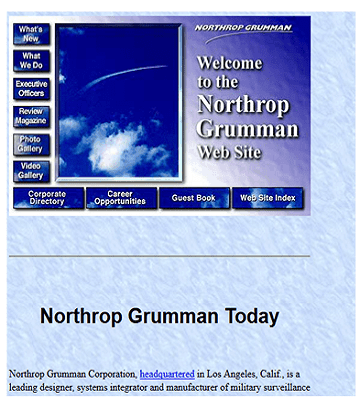 The home page keeps track of domain statistics and the about page mentions a brief history of the Symbolics Computer Corporation. Symbolics.com has the distinction of being the very first commercial domain registered on the internet and since the website is currently active, it’s also the oldest still functioning website. The website was originally the home page of the Symbolics Computer Corporation, which designed and manufactured the Lisp Machine – the first commercially available workstation. 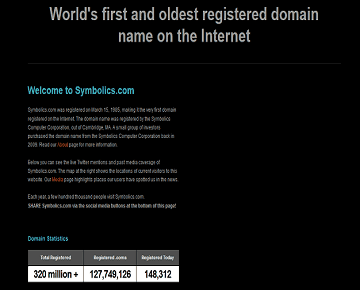 Today, symbolics.com is owned by a small group of investors who purchased the domain from the Symbolics Computer Corporation in 2009. 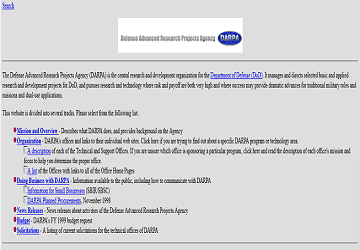 Darpa.mil is DARPA’s only remaining domain name that is still active today. The Defense Advanced Research Projects Agency (DARPA) seems to be the first organization to have registered a domain name as soon as it became possible to do so in 1985. 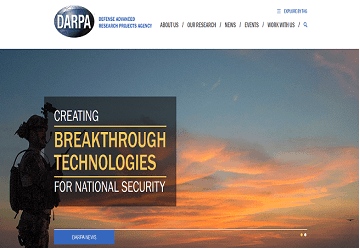 The U.S. Department of Defense agency, which is responsible for developing emerging technologies for use by the U.S. military, registered its name under six different domain categories: .net, .org, .gov, .edu, .mil, and .arpa. Today, DARPA owns and operates under its darpa.mil domain and darpa.net is owned by another company. The other four domain names are no longer active but aren’t listed for sale.